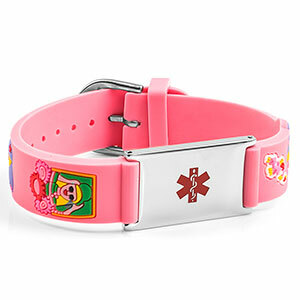 Our Pink Rubber Watch Band medical bracelet for girls is a great adjustable style with a fun look! 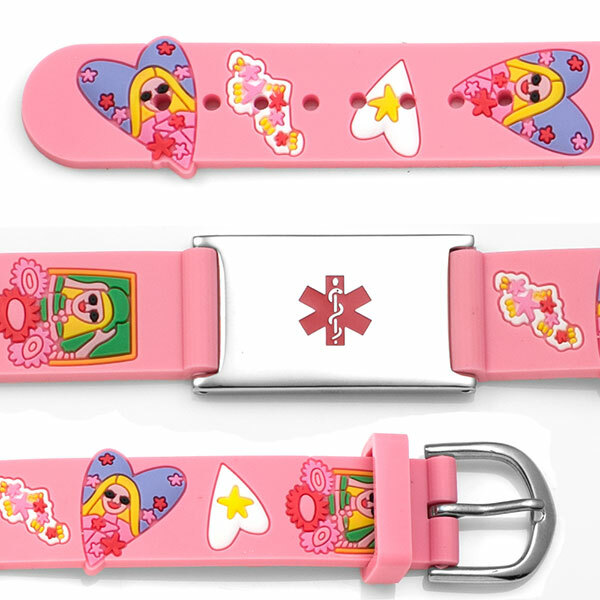 This bracelet has a watch band closure and can be worn in water; making it great for full-time wear. Plate Measurements (in inches): L 1.25 X H .75. Plate Material: Stainless Steel.